Read along with us, wherever you are. And join the discussion online in our Facebook group. The Warmth of Other Suns by Isabel Wilkerson is the story of the migration of southern blacks to the urban areas of the North and West in hopes of finding a better life for themselves and their families. Tell Me How It Ends offers a moving, humane portrait of child migrants. 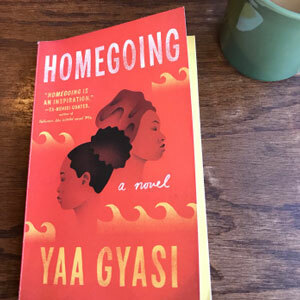 Homegoing traces the legacy of sorrow that slavery has left on eight generations of one family. You can download the New York Public Library E-reader app, get a library card instantly through the app, search this title, and be up and reading in less than a few minutes. You can also find a physical copy at the library, or buy it on Amazon.